The Minutes of the previous meeting of 14/02/19 were read, proposed by Maire Finan and seconded by Fr Victor. Vita Forde-Monaghan has signed up for the Youth Leadership Training Course. The position of President of the Altar Society has been replaced by two Coordinators, and two ladies have been chosen. The PPC will write a letter to Helen Coleman, former President of the Altar Society, of thanks and acknowledgement for her service. It is hoped that the Old Testament DVDs will have a large audience. The Hunger Lunch raised > €600.00, which is €120 to €140 more than 2018. Maire Finan said the soup was delicious and all agreed. The Stations of the Cross for Busy People are going well, and thanks to Grainne Kelly for arranging the beautiful printing. 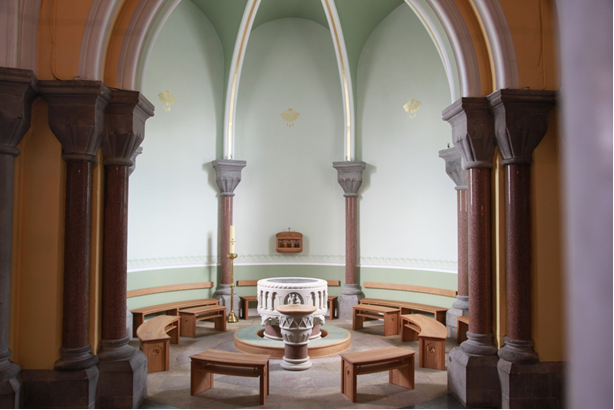 St Patrick’s Purgatory, Friday 5/4/19: Fr Declan plans to re-create the Beds of Lough Derg in the Gillooly Hall where the initial casual session from 8pm-11pm will take place. There will be a more formal atmosphere in the Front Room where the Blessed Sacrament will be exposed. The sequence will be: 7pm onwards Friday, Confessions; 8am Saturday, Mass; 9am breakfast of black tea and oatcakes; then return to the Cathedral to do 3 circuits of the Stations of the Cross. There will be 3 Leaders, for variety, including Grainne Kelly and Margaret Prior. Ronan Hegarty suggested that people have the option to do part of it. Clothes Collection: this has started. St Paul’s Missionary Society Collection: Fr Victor is in charge of this. Chrism Mass: to be arranged by the Diocesan Office. Holy Thursday 18/04/19: In line with Pope Francis saying that grandparents are the root of the Faith, grandparents and grandchildren are to have their feet washed. The PPC is to assist Fr Yashin to procure participants. Good Friday: Fr Declan and Colette Furlong met with Nursing Home residents and recorded their reflections and sharings on the Stations of the Cross. The resulting collection was very enriching and will be used on Good Friday. Copies printed on nice paper will be given to the Nursing Home residents. Cathedral Clean-up: 7.30pm, Friday 12/04/19. Mother’s Day: Fr Declan has procured a single-decade rosary as a gift for ladies. Hunger Lunch Avalon Centre Spy Wednesday. Meeting of Sub-committee with Secondary Schools re Teachers/Chaplains. St Patrick’s Day Mass broadcast from St Patrick’s Church Strandhill on RTE. Eucharistic Ministers’ Day of Reflection 23/03/19 in Mullaghmore, to include lunch. Cemetery Sunday Masses – Sligo Cemetery to be decided but Scarden Cemetery 30/06/19. Diocesan Marriages Jubilee, St Anne’s Church, Sunday 07/07/19. One-day Lough Derg Pilgrimage discussed. Sligo Social Services 50th Anniversary this year. Fr Liam Lawton has been booked for a full concert at considerable cost; a Retiring Collection will take place on the day. PPC members not already Garda-vetted were invited to become so. Bishop Kevin’s online questionnaire on Priestly Formation was completed by all. The meeting with the PPC requested by the Irish Cursilio Movement is to be deferred until after the Mission has been organized, ie to the Autumn. Meanwhile the PPC was invited to Google ‘Cursilio’ for background information. The Leaders of the Childrens Liturgy are delighted to attend the Knock Training Day – PPC Members were invited to look out for such programmes and bring them to PPC meetings. Thanks were given to Fr Yashin, Fr Victor and Sr Elvira for their hard work towards the recent two Nazareth House Retreats for Readers and for Eucharistic Ministers. These were very successful and only cost €60 in total for the 2 nights, to which Fr Declan will add some more money when paying. Next PPC Meeting: Thursday 11/04/19 at 8pm in St Mary’s. The Minutes of the previous meeting of 10/01/19 were read, proposed by Margaret Prior and seconded by Donal Lyons. Two corrections were made: Catechism Beyond Reasonable Doubt should have read Catholicism Beyond Reasonable Doubt; and it is the Missionary Sisters of Charity, not the Sisters of the Presentation of Mary, who individually meditate on a Persona chosen from the Advent story. Vita Forde-Monaghan is very excited to have been invited to do this course. The PPC letter has been sent to Deacon Frank McGuinness, regarding deferral of this course until the Community Catechists are in situ. The Mission Sub-committee reported that the site may be the Gillooly Hall for most of the Mission as it favours the social aspect of tea and conversation following each session, and it has the technology. A seven-day structure has been put in place, and efforts are on-going to decide on and recruit keynote speakers. The consensus of opinion was that it should start on Monday 23/09/19, concluding on Sunday 29/09/19 with a Mass of Celebration offered by Bishop Kevin. As previously noted, the topic is Care of the Environment, and Fr Declan commented that one should go for a walk, look down, and see the quantity of Unrecyclable litter. The meeting was held on 05/02/19, and John McGowan is Chair until the Autumn. The closure of Veritas was considered. Thanks to Colette (Coordinator) and Bishop Kevin (Homilist), for presenting the Service of Prayer for Christian Unity in St John’s Cathedral. The 50th Anniversary of Sligo Social Services occurs this year. There was a report on Adult Baptism, Confirmation and First Holy Communion. Sympathy was expressed to the family of Kellie Leonard, a Teacher in Summerhill College, on her recent sudden death. May she rest in peace. Sacramentalisation of Civil Marriages has been deferred to 2020. There was an update on the Community Catechists Programme. Ash Wednesday: 06/03/19 – Mass at 8am, 10.30am, 1.05pm, & 7pm and Hunger Lunch in aid of Trocaire, Gillooly Hall 11am to 2pm. Weekday Masses 8am & 10.30am. Stations of the Cross every Friday after 10.30am Mass. First Friday 05/04/19 St Patrick’s Purgatory ALL NIGHT VIGIL 7pm Friday to 9am Saturday. Sacrament of Reconciliation ALL THROUGH LENT Every Saturday 2 – 4pm & before all First Friday Masses. Sligo Cathedral CLOTHING COLLECTION in aid of Trocaire, all through Lent. The STATIONS OF THE CROSS FOR BUSY PEOPLE will be held on Mondays, Wednesdays and Fridays during Lent, from 6 to 6.15pm. For this, Francie and Dermot are to construct a rota of Leaders, including non-PPC members, and coordinate it. The Text will be available at the First Station, and a Youth Text will also be made available. Fr Declan and Colette Furlong are adding another perspective – that of residents of Nursing Homes. Also, there will be a new Devotion, enabling people to randomly choose a Persona from the Lenten story and journey with that character throughout Lent. Altar Society: A new President is being recruited due to the retirement of the current President, who did a wonderful job. Kingsbridge Hospital Chapel De-consecration: This took place on 11/02/19 and a small Prayer Room was substituted. Cathedral Baptismal Candle: Due to the recent closure of Veritas Bookshop, the Cathedral is producing its own Baptismal Candle. Old Testament Presentations: The PPC and Knights of Columbanus are collaborating on the presentation of a set of Videos on the Old Testament, on Lenten Tuesdays and Thursdays, starting on 12/03/19 at 7.30pm in Columbanus House, Church Hill, Sligo (next to St Michael’s Family Life Centre). The final session will be on 11/04/19. 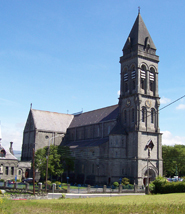 AOB: Dermot suggested Parishioners be invited to submit suggestions for possible initiatives for the PPC to pursue – this is to be deferred to May, and we will examine the suggestions during the summer holidays. A programme called ‘Letting Little Children Come to Me’ is to be offered as a resource to those leading the Children’s Liturgy, on 23/03/19. It is good to see that following on from the PPC theme of the Busy People’s Stations of the Cross, the ‘busy’ idea has rippled out to other Parishes. The Mother and Baby Group has started, with two mothers. Next Meeting: Thursday, 14/03/19 at 8pm in St Mary’s. The Minutes of the previous meeting of 13/12/18 were read, proposed by Grainne Kelly and seconded by Maire Finan. Matters Arising – there were none. It was a very busy, successful Advent for the Cluster with many Devotions available, so only Dermot Layden’s Course in the Sacristy on Catechism Beyond Reasonable Doubt was put on by the Cathedral. The Blessing of the Infant Jesus for Christmas Cribs at all Masses on Sunday 23/12/18 was purposely planned not to coincide with the Do This in Memory of Me Meeting, to encourage attendance. The Carol Service as is traditional, had a large congregation swelled by people returning home for Christmas. It was promoted on social media, Facebook. There was an even bigger congregation at the 10pm Vigil Mass; also the 12pm Midday Mass had a larger attendance than in previous years. The number attending Mass on New Year’s Eve and New Year’s Day likewise have grown. Mass at Christmas is about family, the Crib is a big attraction, and the 6.30pm Christmas Eve Mass for kids at St Anne’s was crowded. Fr Declan’s Sermon on Christmas day dealt with the different personalities/beings in the Crib, inviting us to consider ‘Who am I in the Crib?’ Similarly, at the start of Advent, each Sister of the Presentation of Mary randomly chooses a character from the Crib and imagines herself as that persona during the Advent journey. It is proposed that next Advent we try this, providing a basket from which people can randomly choose the name of a different character to empathise with during Advent. An evening would follow this ‘lucky dip’ to elaborate on the different personae. We will revisit this idea in Sept/Oct. The figures in the Cathedral Crib, which are over 200 years old, were re-painted. It was decided to write to the organisers to defer this for another year, until the Community Catechists are in situ, as they could foster aspirants to this course. In Fr Declan’s words, ‘It’s a great idea, but too soon’. It is so far unknown what the Catechists will be doing, and their formation is as yet incomplete. Ronan suggested enlisting students from the I.T. Social Care course, and Grainne wondered about the John Paul II students, but Fr Declan said only 2 of these keep in contact with the Parish. The consensus was to defer as above, and meanwhile to compile a database of the JPII contestants. Fr Declan felt the choice of theme, Respect for the Environment, was a stroke of brilliance, and that John Feehan was ideal as a speaker, and he also recommended Fr Donal Dorr SPS who has written extensively on the environment. The layout would be 1 person for 1 night for 1 talk. A local Mercy Sister who is a Scripture Scholar would be great for a Healing Service, and someone from the Third World to tell us of the effects of our activities on their everyday life. The Mission will be of 5 days’ duration, with 2 or 3 big speakers, and other nights with local cover – Green Flags, etc. A Sub-committee was formed, comprising Fr Declan, Margaret Prior, Dermot Layden and Pauline Cushman, who will deal with timing, structure, logistics and research and report back to the PPC. Margaret suggested distributing the Encyclical Laudato Si among us individually in parts, to study and Dermot volunteered his summary of this document. Fr Declan is to contact John Feehan – guidance on possible speakers will be sought from him and Fr Dorr. Donal Lyons is to contact relevant speakers who are coming anyway to the IT to lecture, offering them a double gig. Fr Sean McDonagh was also mentioned. Ronan mentioned that recent discoveries by Cosmologists endorse belief in God. There was no Report from the Cluster, as no meeting was held. Dermot spoke on a joint effort by the Knights of Columbanus and the PPC to buy the whole set of 14 videos advertised in the Autumn 2018 edition of ‘The Angelus’ and to show them on Tuesday nights from 7.30pm to 9pm in Columbanus House. The Stations of the Cross for Busy People will take place on Monday, Wednesday and Friday evenings. Pauline suggested a ‘lucky dip’ activity similar to that alluded to earlier for Advent, where each person randomly chooses a character from each Station and journeys through Lent with that character. The Hunger Lunch will go ahead this year, but its attendance has progressively shrunk. 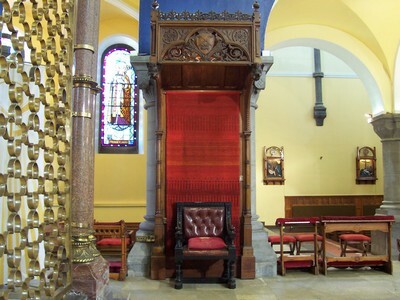 Grainne proposed a Lough Derg Friday night, comprising an all-night vigil with fasting and bare feet, followed by 8am Mass and breakfast in the Gillooly Hall – this was well-received and the date of 5/4/19 was decided on. The Collection of donated old clothes to sell to recyclers is to be repeated this Lent. This was painted and refurbished during the Christmas holidays by Volunteers, including Francie. It was decided to defer for a few weeks, the re-running of Catechism Beyond Reasonable Doubt. Next Meeting: Thursday, Feb 14, 2019 at 8pm in St Mary’s Presbytery.